Proper viewing is important for once-in-a-lifetime event. Get ready, Cherokee County! A rare opportunity to view the great American solar eclipse of 2017 is happening Aug. 21. A solar eclipse occurs when the moon passes directly between the Earth and sun, blocking part or all of the sun from view on Earth. It has been 99 years since the last total solar eclipse crossed the United States from coast to coast, and this one will cross from Oregon to South Carolina. Everyone in the 48 continental states will be able to see at least a partial solar eclipse. However, millions are expected to gather along the 65 mile-wide ribbon of total shadow, called totality, to see the moon completely block out the disc of our sun, revealing the solar corona. Any random place on the Earth could wait up to 360 years until a total solar eclipse occurred there. 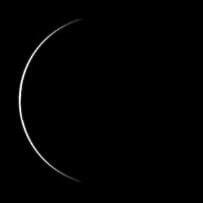 Treat this eclipse as the rare opportunity that it is, and make sure you see it … and see it safely. If you plan to see it in Cherokee County, the eclipse will be visible as a very deep partial solar eclipse, which means that near the peak of the eclipse, it will appear like early twilight for a while in the early afternoon. It will not be a total solar eclipse from any locations in Cherokee County. In the Southern end of Cherokee County, Woodstock will have a partial eclipse around 97.8 percent. Canton, near the center of our county, will have a 98.4 percent partial eclipse, and Ball Ground, in the north, will have a 98.8 percent partial eclipse. If you want to see a 100 percent solar eclipse, then you will need to head northeast, to put yourself in the path of totality, which includes Blue Ridge, Blairsville, Helen, Hiawassee, Cleveland, Cornelia, Toccoa, Clayton, Dillard and Brasstown Bald. To view the eclipse safely, you can use specialized solar eclipse viewing glasses. No. 12, 13 or 14 welder’s glasses or goggles, pinhole cameras (which can be as simple as two index cards with a small hole punched in one and held over the other) or specially designed solar telescopes or solar binoculars. You also can look at the ground under or near trees to see eclipse images projected on the ground from the pinhole effect of the leaves overhead. Never look directly at the sun without proper protection for your eyes. Never use normal sunglasses … no matter how dark they are, they aren’t dark enough for direct viewing of the sun. Never use a regular telescope or binoculars, without solar filters, to look directly at the sun. Concentrated sunlight can blind you in seconds. If you don’t protect your eyes properly, eye damage to your retinas is a real possibility, so please view safely. For the smartphone crowd, there’s a free app. Search your app store for Eclipse2017.org. Remember to look up from your screen (with proper eyewear) and see the real thing. This really is a “once in a lifetime” opportunity to see what is arguably Mother Nature’s most amazing celestial event. Solar Eclipse Information Session at 3:30 p.m. Aug. 8, 2:30 p.m. Aug. 17 at Rose Creek Public Library. Learn more about the solar eclipse of 2017! Make an orbiting model craft and receive information about the library’s special eclipse viewing. Children 9 and under must be accompanied by an adult. Registration is required and opens July 25; call 770-591-1491 to sign up. Eclipse Party at 4:30 p.m. at R.T. Jones Memorial Library. This party is going to be astronomically fun! Learn about the upcoming eclipse and join in on some fun eclipse crafts and activities. For adults and children of all ages; children 9 and under must be accompanied by an adult. Dark in the Park, 1-4 p.m. at the Northside Hospital Cherokee Amphitheater with music, activities food and moonwalk. Protective eyewear provided to the first 200 people. Bring your blankets and lawn chairs. Hosted by City of Woodstock Park and Recreation Department.Solar Eclipse Spectacular! at 2:15 p.m. at Rose Creek Public Library. For the first time since 1918, a total eclipse of the sun will be visible to the United States! Join us as we watch and celebrate this spectacular event with our special eclipse glasses and other festivities such as crafts, games, and more. For all ages; children 9 and under must be accompanied by an adult. Registration is required and opens Aug. 7; call 770-591-1491 to sign up.Eclipse Selfies! at 2:00 p.m. at Woodstock Public Library. 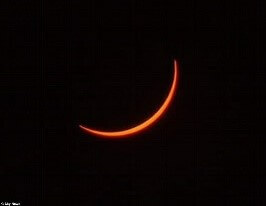 This is the first solar eclipse to be visible throughout North America in 99 years! We’ll be making pinhole viewers to watch the eclipse and provide special Georgia-shaped pinhole viewers, which can be used to take a picture of your shadow with the eclipse. For all ages; children 9 and under must be accompanied by an adult. Registration is required and opens Aug. 7; call 770-926-5859 to sign up. • NASA’s info page on this eclipse. • For exact timings, locations and percentages of totality from anywhere across the continental U.S.
• Safe solar viewing techniques. • Basic info on solar eclipses. • Top 10 places in U.S. to try to view totality. • Why “close” is NOT close enough. By Virginia Seng, astronomy teacher at Cherokee High School.